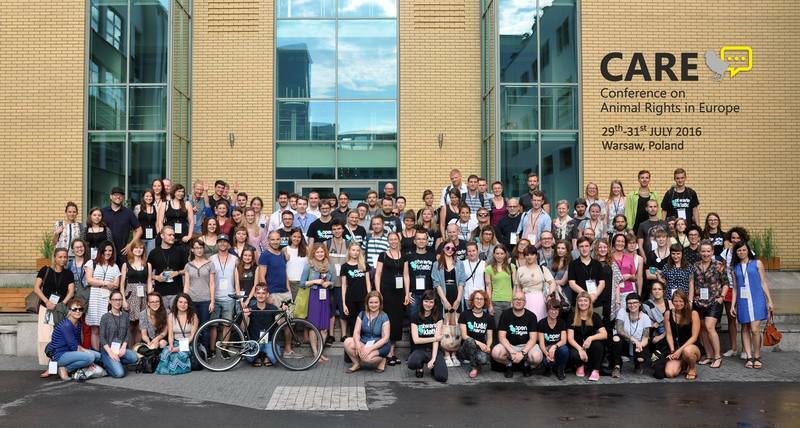 If you look carefully, you can see me among the great attendees at the Open Cages Conference on Animal Rights in Europe held in Warsaw, Poland in July 2016. In 2016, Ula Zarosa from Open Books in Poland interviewed me about animal rights activism in theory and practice. This interview was after I spoke at the Open Cages Conference on Animal Rights in Europe in Warsaw in July. The interview focuses on several issues and in particular the development of the animal rights movement in Central and Eastern Europe. The development of the animal rights movement in Central and Eastern Europe is very exciting. 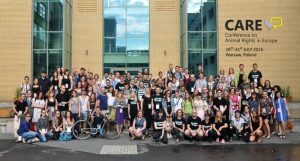 This is why I made a commitment to participate in CARE and very much want to participate in the next conference in Prague. To answer your question directly: Yes, animal advocacy in Central and Eastern Europe can achieve the same level of influence and sophistication as that in the West. Two key points, though. First, everything is contextual. The USA, for example, is very different from many other countries in both size and how its democracy works. So, a country’s unique circumstances will impact the animal advocacy occurring within its borders. But, second, the borders between countries are being eroded to some extent through such international forces as globalisation, international travel, and the Internet. This means that even though the animal rights movement in Central and Eastern Europe maybe thought of as being ‘behind’ its counterpart in the West, you have the opportunity to learn from our mistakes and successes. This means that your growth and development should be even more expeditious than ours.